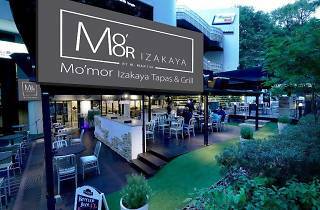 Mo’mor is a modern izakaya that whips up tapas and mains like miso ginger spring chicken ($22) and Black Angus grain-fed tenderloin ($43). Located at the Tanglin end of Orchard Road, its rotational set lunch menus ($15-$18) include options like saikyo miso ginger spring chicken with pumpkin purée, beef bolognese and grilled yellowtail collar on fried garlic rice, so your meal's different on each visit. 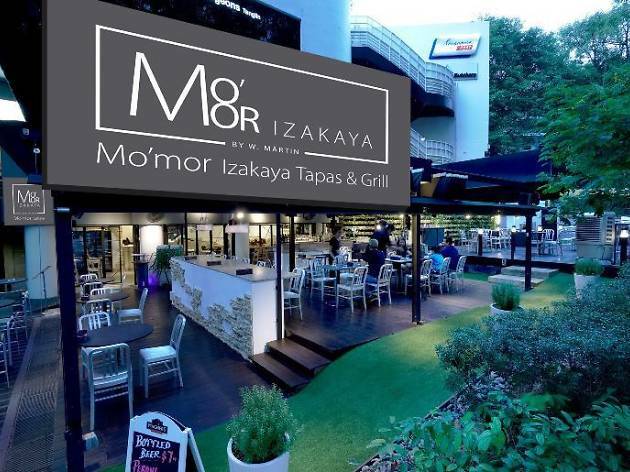 Featuring concrete floors and light walls lined with wooden bricks for texture, this modern izakaya gives a casual café vibe that's perfect for a quick catch-up with friends. On the weekends, you can enjoy their new brunch additions such as their buttery waffles made of buttermilk, drizzled in butterscotch and topped with peanut butter ice cream ($17.90) that go perfectly with a cuppa joe ($4.50-$5.50). Expect Japanese touches to classic poached egg dishes over a bed of mentaiko muffin and spinach ($23.90), as well as sashimi-like salmon smoked in-house paired with flaky croissant and scrambled eggs ($22.90).